You will leave Paris in the morning at 8.00 am. After 1,5 hour driving you will reach the Champagne region to start your trip in visiting the city of Reims. 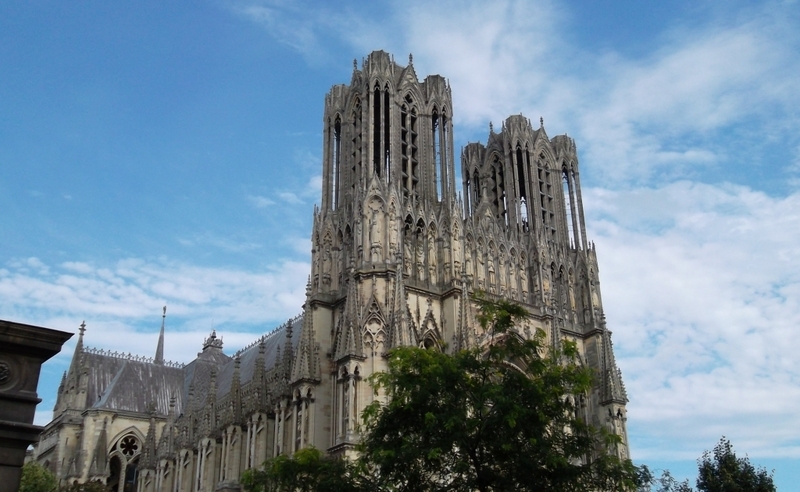 City of art and history, UNESCO listed world heritage sites, Reims is an impressive city with its cathedral built in the 13th century where all the French kings have been crowned. This is a unique gothic style. You will see the “Palace of Tau” and also visit the St Remi basilica dating from the 12th century. Late in the morning you will have your first Champagne tasting either in the famous cellar Mumm or Veuve Clicquot. Free time for Lunch en route to Epernay: the “capital of champagne”. You will be driven across the Regional park of “Reims mountain” through a unique landscape. 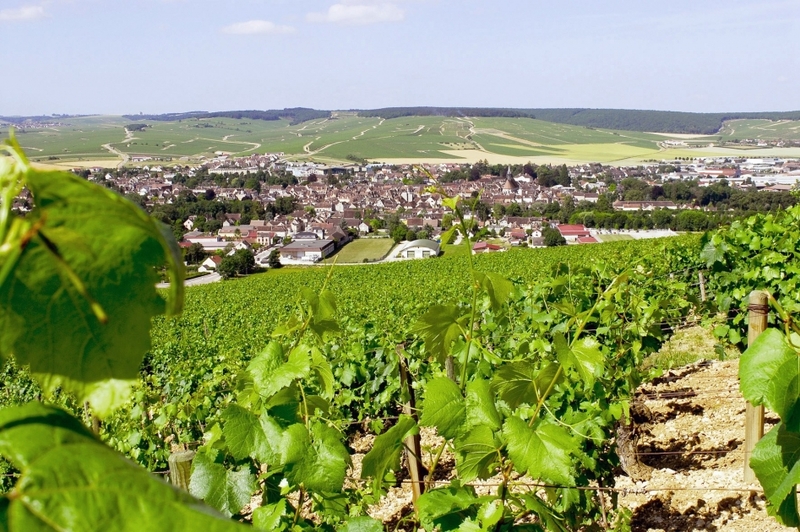 You will visit the charming village of Hautvilliers and its ancient abbey where is buried Dom Perignon before arriving at Epernay and at the LVMH – Moet & Chandon estate our preferred partner and worldwide known as one of the best champagne producer. You will visit one of its properties Mercier founded in 1858. You will be accompanied inside the cellars where you will board a laser-guided train to visit the 10 miles cellars before enjoying a tasting of a “Mercier cuvee”. During these visits you will have the opportunity to buy some bottles as all the cellars have their own shops. Our guide will then drive to your hotel a 5 star + stylishly very comfortable mansion : La Briqueterie (click to know more) nestling in the greenery of a luxuriant land. Dinner at the hotel (beverages not included). Depart from the hotel around 9.00 am after your breakfast. After 1,5 hour driving you will reach Chablis which is the northernmost of the great Burgundian vineyards. It’s an ancient stone village worldknown for its fragrant white wine of Chardonnay grape based. You will visit the most famous cellar “the Laroche Estate”. The Laroche family has produced wines from Chablis since 1850. Michel Laroche who represents the 5th generation, joined the family Domaine in 1967 to continue the tradition and follow his ancestors work. Since the end of the sixties to the present day the Domaine Laroche has developed from 6 hectares to a staggering 100 hectares of vineyards. 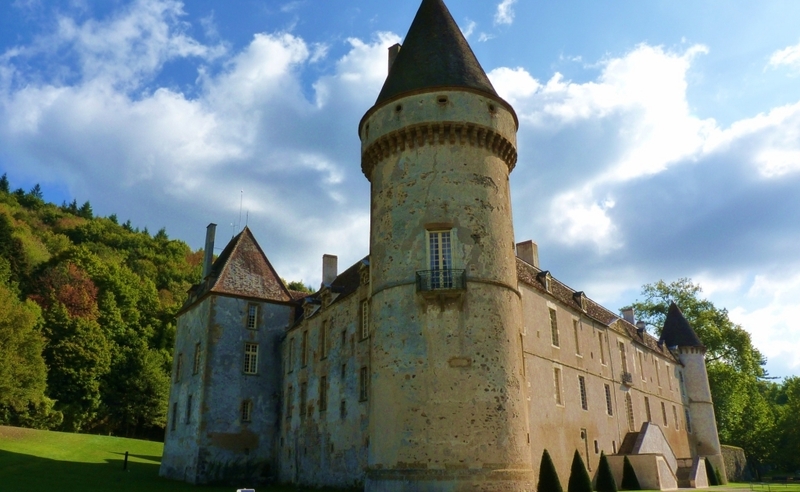 In the afternoon you will continue in crossing the Burgundy bucolic country side to the medieval castle of Bazoches built in the 12th century where Kings Philippe Auguste & Richard the Lionheart have been staying during their trip for the third crusade. Bazoches is open until the 13rd of November. From this date until December, you will spend more time in the other sites. Since the 16th century the castle belongs to the family of Marshal Vauban the founder of the Civil Engineering. 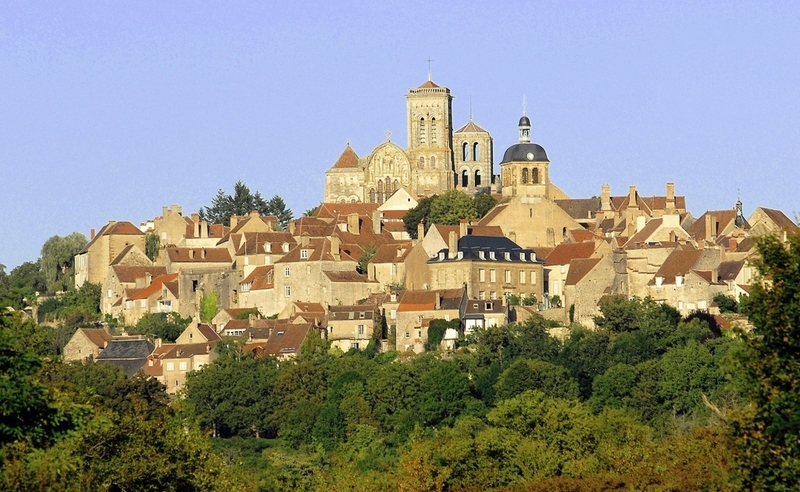 You will end this journey visiting the charming & pilgrim Unesco world heritage village of Vezelay also called the “eternal hill”. This is a medieval village with ramparts overlooking the rolling hills of the surrounding countryside. Guided visit of the Roman basilica dedicated to Sainte Mary Madeleine founded in 864 thrived until 1280. You will then be driven back to Paris you will reach around 8.00 pm.